iPhone 6 Plus bendghazi update: Apple says 9 customers affected. Remember when everyone was freaking out because their iPhone 6 Pluses were bending? Well, not everyone, of course—my own 6 Plus has stood up to the rigors of my pants pocket just fine—but most people, right? I mean, there must have been a lot of bent iPhone 6 Pluses to shave billions of dollars off of the company’s market capitalization and become the most talked-about tech news story of the week. Actually, Apple said Thurdsay, there have been nine. Nine customers, that is, who have complained to Apple of bent iPhone 6 Pluses in the six days that it has been on sale. Between the 6 Plus and its more manageably sized sibling, the iPhone 6, the company has sold more than 10 million of its new phones in that time. Nine, I will grant you, is not zero. Clearly it is possible to bend the thing without meaning to. And it’s quite likely that there are several—perhaps even dozens—more iPhone 6 Plus owners out there with bent phones who have yet to contact Apple about it. Perhaps we’ll know more about just how malleable this device is once Consumer Reports finishes its much-anticipated “bend test.” Perhaps some of us will even still care. But this faux-uproar was never really just about the pros and cons of the iPhone 6 Plus. It was about the aura of infallibility that Apple has labored so hard over the years to cultivate. It was about what happens when people start to see more cracks in the veneer of a company whose electronic gadgets have transcended mere popularity and utility to become objects of mass consumer worship. It was about the cult of personality around the late Steve Jobs and the collective amnesia that allows people to imagine that this never would have happened if he were still alive. It was about schadenfreude and putting fanboys in their place. Perfection is an illusion. Jobs was human. 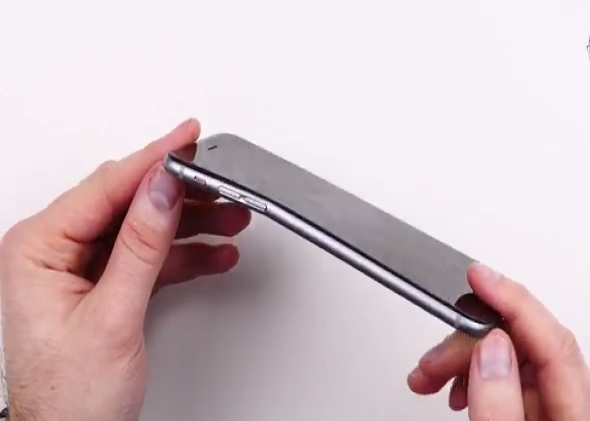 iPhones bend. Sometimes a flaw in the rug is just a flaw in the rug.